"War Despatches, contemporaneously written makes fascinating ?reading and holds out important lessons which bear recalling as history so often repeats itself." The conflict was short and limited, packed with intense activity, major movement, heavy fighting and crucial decisions. The initiative rested with Pakistan to commence hostilities, which they did with a mix of irregular and regular troops and tactics. This is a story of anticipation, of impending actions, of virtual equality of forces engaged in a savage battle of attrition in which no quarters were given or asked. The author, GOC-in-C Western Command during those fateful days provided an unflappable presence under whose command the Army imposed unacceptable levels of losses on the enemy, first toning down their rhetoric, then their confidence, and lastly their ability to sustain very high levels of material losses. 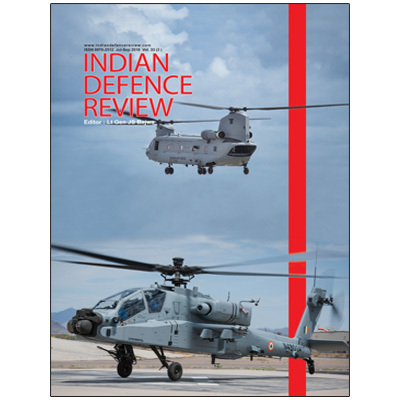 There is very little material or records to draw upon for our military studies of warfare in and around the Indian subcontinent. War Despatches narrates for the first time the inside story through original despatches field by the Army Commander from the war zone. To maintain the authenticity of the Despatches, the military style of writing has been followed in the text as far as possible.